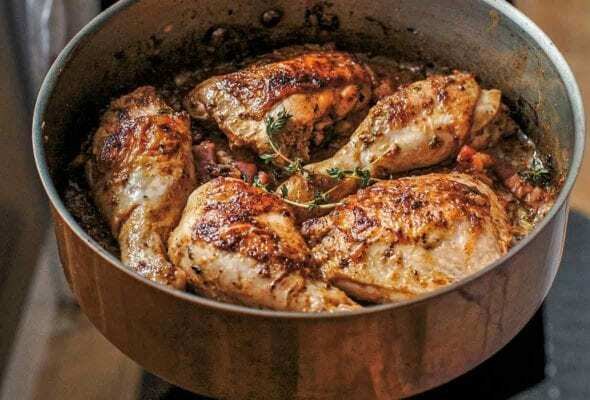 Chicken with 40 cloves of garlic is a classic for one reason—it's damn good. 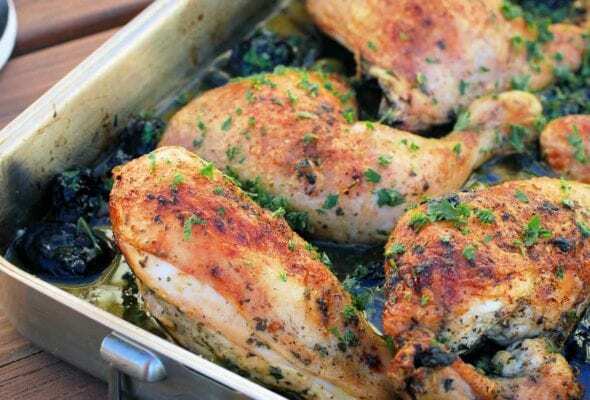 Using chicken thighs ensures the meat remains juicy. Using our trick for quickly peeling garlic makes it hassle free. 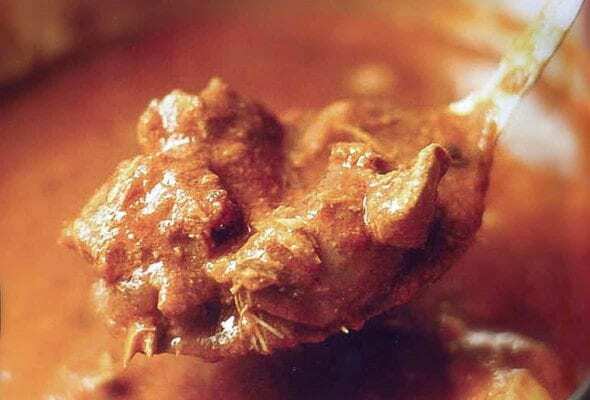 Exactly what you want—nay, need—when you're crave something that's satiating as heck but you need it to be quick as can be. Easy. Healthy. Paleo. 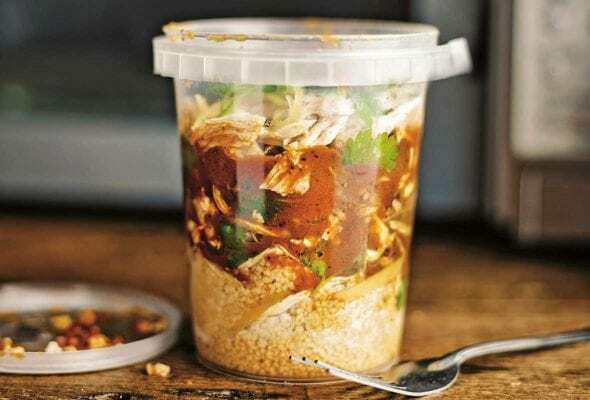 Able to be made in a slow cooker. And, natch, the taste. 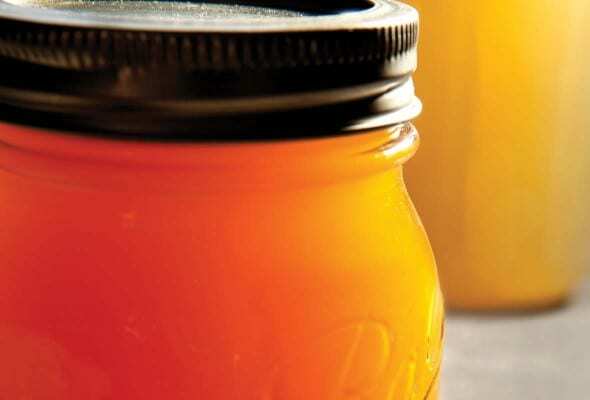 Just a few things we adore about this chicken stock. 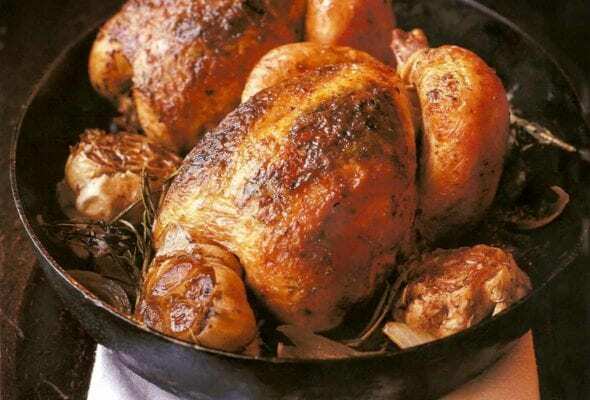 With this recipe, you can assure anyone who asks "Parlez-vous poulet?" that yes, in fact, you do. Quite fluently. 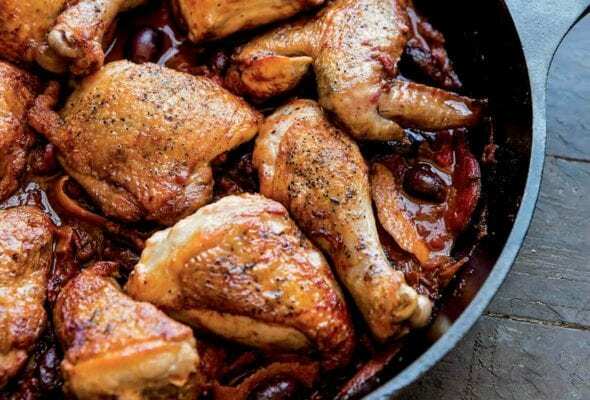 Chicken Marbella, a sell-out at The Silver Palate, is quartered chicken flavored with vinegar, brown sugar, dried plums, olives, and herbs. 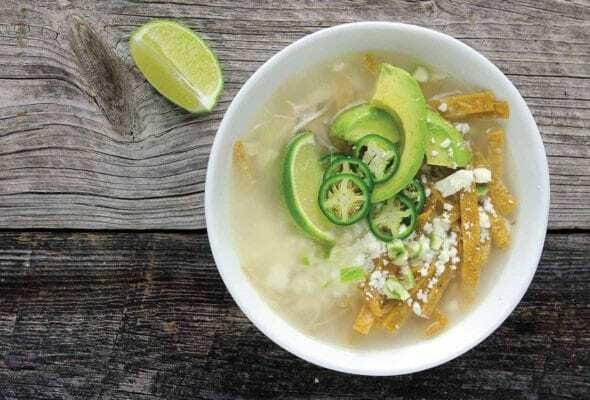 This Mexican chicken soup is authentic Yucatan fare that's simply broth, avocado, lime, tortilla, and rice. The sum is far more than the parts. And it's comforting as heck. 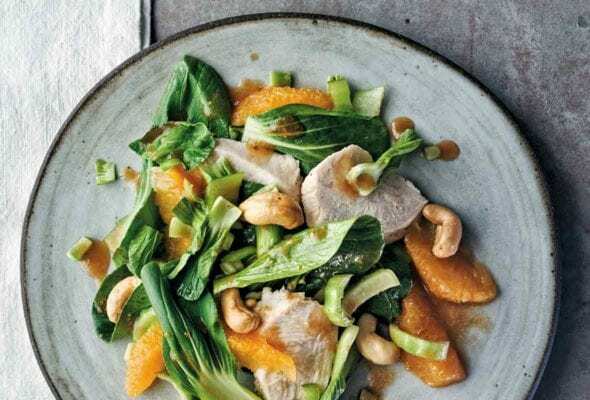 Asian chicken salad with bok choy and oranges and cashews helps you say so long to the same old boring chicken on salad greens. 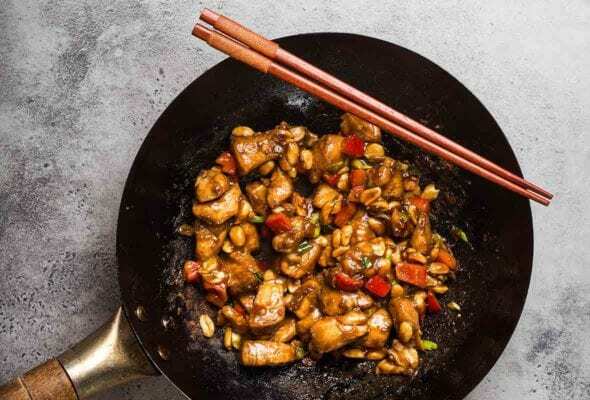 And it's on the table in less time than it takes to get takeout. 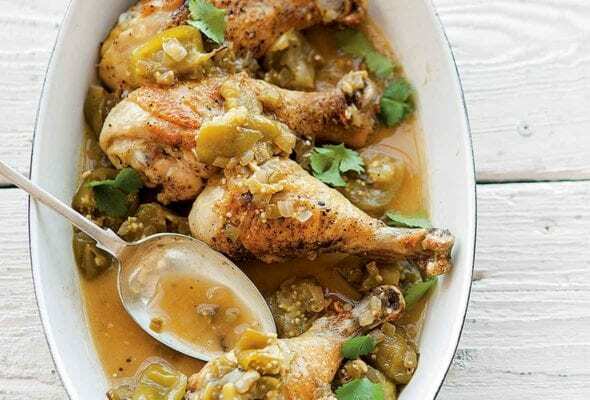 Slightly tart and eminently easy, this tomatillo sauce makes ample so you can stash some in the fridge for later. Cook once, eat twice. 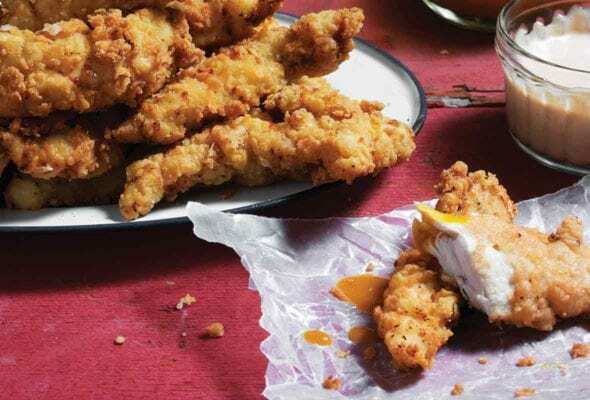 "My new go-to chicken strips recipe, thanks to my kids' saying 'These are yummy!'" 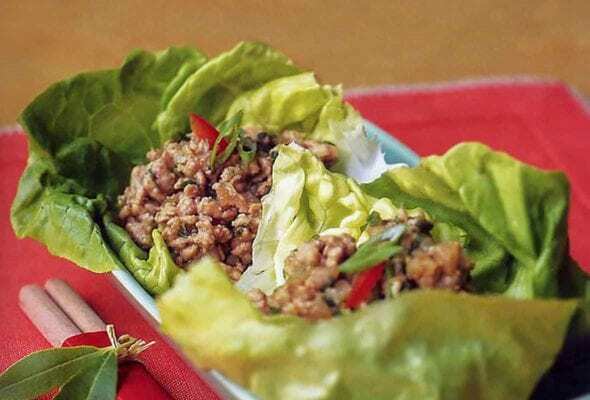 That's the kind of raves we're hearing about this quick, easy, weeknight-friendly recipe. 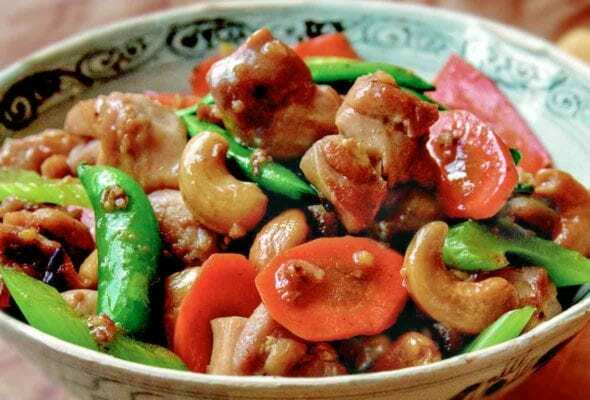 The origins of Kung Pao (aka Gong Bao) chicken are murky, but the raves we're hearing about this stir-fry of chicken, peanuts, and red chiles are resoundingly clear. 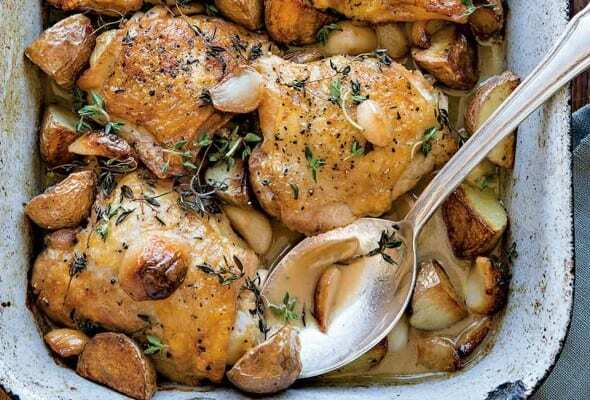 This simple one-dish braised chicken recipe is making lots of folks really quite happy. Perhaps you should see what all the fuss is about. 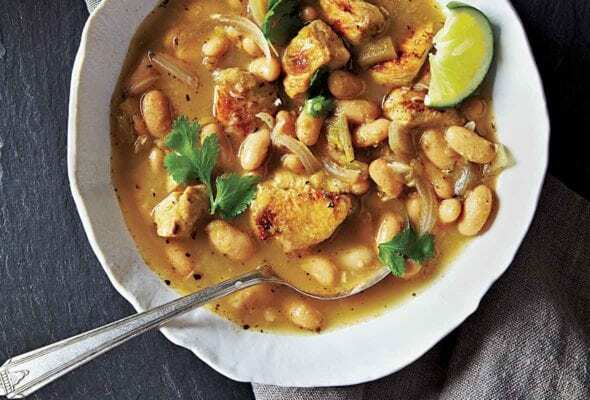 We wish we always had a stash of this chicken soup recipe in the fridge to take to lunch as a soothing respite in the day. 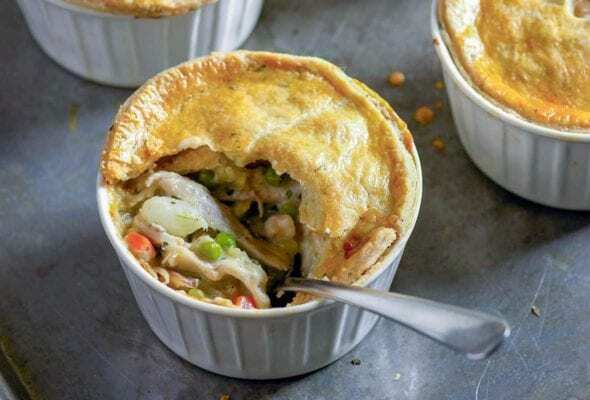 These pot pies are the ultimate comfort food. Any why not? 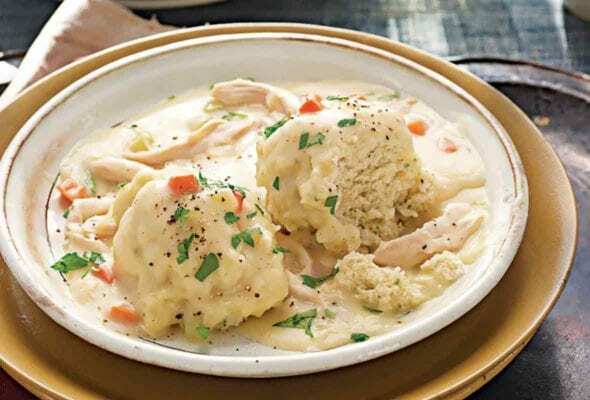 Creamy chicken and vegetable filling lies in wait beneath a thyme-infused buttery crust. 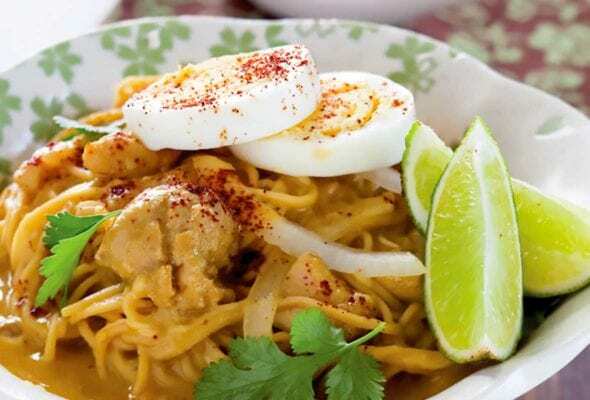 This popular Burmese chicken coconut soup features noodles doused in a mild curry sauce with a consistency that's somewhere between soup and gravy. Delish. Ever heard that little ditty, "Winner, winner, chicken dinner?" We like to think of it as "Winner, winner, chicken piccata dinner." A can't-resist curry brimming with fragrant spices--ginger, cinnamon, cardamom, cloves, peppercorns, coriander, cumin...yup, they're all here.